Macau’s Judiciary Police announced on Thursday the arrest earlier in the week of 113 people allegedly involved in a long-time loan-sharking operation targeted at people gambling in the city’s casinos. Police estimated the enterprise involved the illegal loaning of at least HKD70 million (US$8.92 million) in aggregate. 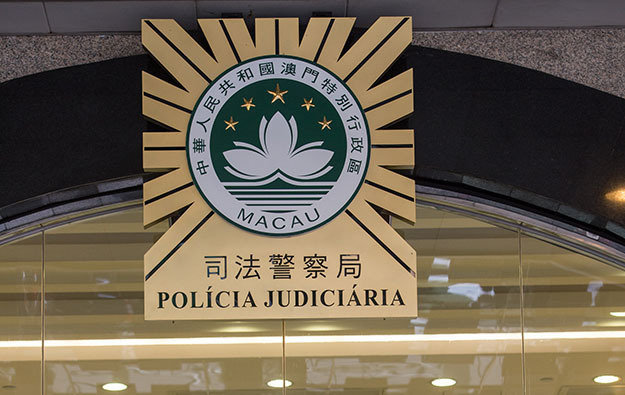 At a briefing on Thursday, officers described the enforcement action as the largest number of arrests in the Macao Special Administrative Region for a single case, since than handover from Portuguese administration in 1999. The arrests followed raids on Tuesday at 21 flats “around the Cotai area,” said police. Items seized included jewellery and watches, account books, loan slips, and gambling chips with a face value of HKD100,000, as well as HKD2 million in cash, local Chinese-language media reported, citing a police press briefing. The alleged loan-sharking operation – known under Macau law as usury – was thought to have been “highly organised”, and featured “strong techniques” for countering police surveillance, the Judiciary Police told media. The force thinks the loan-sharking group might have been in operation since 2011. Police received intelligence on the matter in 2016, and had then started series of investigations, said Fong Hou In, head of the intelligence and support department at the Judiciary Police. The alleged loan-sharking group was said to have had strict division of assigned tasks among its members. These included the identification of gamblers that were potential borrowers; pursuit of accounting functions; and the issuing of credits. Gamblers that failed to repay debts were believed to have been placed in illegal confinement under the group’s operation, the police stated. Of the 113 people arrested, one was a Hong Kong resident that the police believed was the ringleader of the loan-sharking operation. The majority of the group’s members were said to be residents of mainland China. In the first quarter of 2018, gaming-related cases of loan-sharking rose by 15.9 percent year-on-year in the first quarter of 2018, to 102, the police data showed. During the period, a total of 59 cases of gaming-related suspected unlawful detention were recorded, down 43.8 percent compared with the prior-year period. Such cases are typically associated in Macau with loan-sharking connected to gambling.